Dan Millman is a former world champion athlete, university coach, martial arts instructor, and college professor. After an intensive, twenty-year spiritual quest, Dan’s teaching found its form as the Peaceful Warrior’s Way, expressed fully in his books and lectures. His work continues to evolve over time, to meet the needs of a changing world. Dan’s thirteen books, including Way of the Peaceful Warrior, have inspired and informed millions of readers in 29 languages worldwide. The feature film, “Peaceful Warrior,” starring Nick Nolte, was adapted from Dan’s first book, based upon incidents from his life. Much of Dan’s time is devoted to writing and speaking. His keynotes, seminars, and workshops span the generations to influence men and women from all walks of life, including leaders in the fields of health, psychology, education, business, politics, sports, entertainment, and the arts. 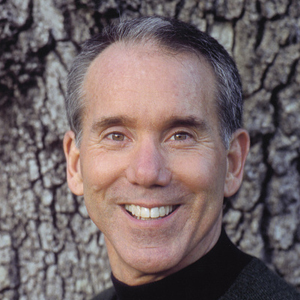 This is Dan Millman's magnum opus where he walks us through "The Twelve Gateways to Personal Growth" and in the Note we check out Big Ideas ranging from the importance of discovering our self-worth (and how to do so) to the fact that, although "Carpe diem!" sounds good, it's impossible to do. We can’t "Seize the day!" but we *can* "Seize the moment!" or , as Dan says: "Carpe punctum!"